Immigrants have the opportunity to have access to all of the same rights as people who were born in the United States, including the ability to vote. This is through a citizenship known as Naturalization. Naturalization status is determined by a U.S. Citizenship and Immigration Services (USCIS) officer. Since it comes down to the decision of a USCIS officer, it is often recommended that people applying for naturalization status to work with an immigration lawyer. Legal counsel can provide unique insight on the process, can help fill out an application, and can offer advice about how to build a strong case to present to the USCIS officer so you can achieve the best possible outcome. Check: Do You Meet The Requirements? 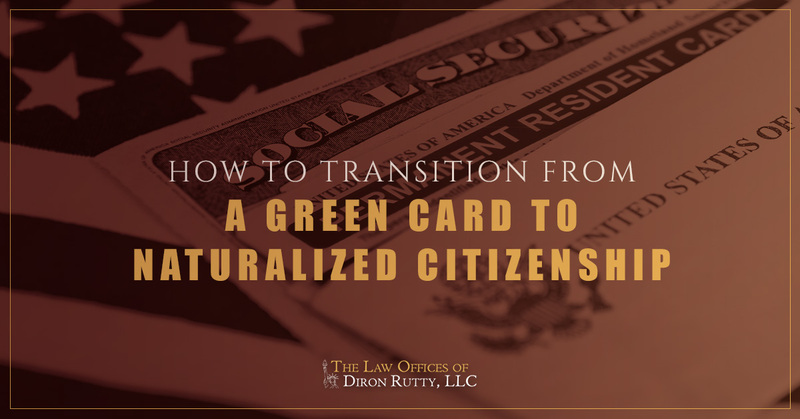 To transition from a permanent resident with a green card to a naturalized citizen, you must meet a certain list of eligibility requirements. More information about these requirements can be found on the USCIS website. Have you been a permanent resident with a green card for at least five years? Are you: a green card holder married to a U.S. citizen, a green card holder in the military or their family, or a person who has earned citizenship through their parents? Have you lived in the state, or USCIS district, for at least three months? Students may apply in the place they go to school or where their parents live if they are still financially dependent. Have you had continuous residence in the United States for the five years immediately preceding the naturalization application date? During the past five years of residency, have you been physically present in the States for at least 30 months? Will you reside in the United States continuously from the date of applying for naturalization status until the time of naturalization? Can you read, write, and speak English? Do you have knowledge and an understanding of U.S. history and government (civics)? Are you a person of good moral character, as interpreted by the principles stated in the Constitution of the United States? Will you be active in the good order and happiness of the United States? If you have lived in and are a permanent resident of the United States for at least 20 years and are age 50 years or older, you are an exception to the English language rule. This is commonly referred to as the 50/20 exception because you must be 50 years old and have lived in the U.S. for 20 years. You are still expected and required to take the civics portion of the test; however, you may take the test in your native language and bring an interpreter with you to the interview. Similarly to the 50/20 exception, you are exempt from the English language rule if you are at least 55 years old and have been a permanent resident of the United States for 15 years. The 55/15 exception does not apply to the civics test. You are still required to take the civics test, but you can take it in your own language. You may also bring along an interpreter to your interview. Permanent residents who are 65 years and older and have lived in the United States for 20 years may be given special consideration when it comes to the civics test. Form N-648 allows a medical doctor, osteopathic doctor, or clinical psychologist to excuse a person from the English and civics naturalization requirements because of mental impairment or physical or developmental disability. You may be excused from the strict time frames for continuous residence if you are employed overseas. The USCIS is happy to provide modifications or accommodations to the naturalization process that may make it difficult for people with mental or physical impairments to complete the process. This is directed under Section 504 of the Rehabilitation Act of 1973. With many specific requirements necessary to become a naturalized citizen, it can be easy for someone to apply incorrectly. An immigration lawyer can help permanent residents apply for naturalization to their full potential in order to reach the best possible outcome. We can strengthen your application, answer questions, and address concerns before it is too late. Our team makes it our mission to stay up to date with the frequently changing immigration laws in the United States. The Law Offices of Diron Rutty, LLC, offer immigration legal services to those in the New York City and Poughkeepsie areas. Our team has worked in this field for more than 20 years and have the experience and compassion necessary to help individuals through the tough path to citizenship. Contact us online using the form below.